The magazines aren't tracked. But there are plenty of anecdotal indications that the floodgates briefly opened when U.S. District Judge Roger Benitez overturned the state's nearly 20-year-old ban in late March. Gun control advocates, however, said the projections are inflated and self-serving as gun rights organizations try to make the case that high-capacity magazines bans are impractical. "They wanted to grab more than I let them, otherwise they would have been gone even faster than a few hours,” he said. "Because of that one slip-up, in one week you literally had millions of magazines come into the state that were bought legally. These magazines are here to stay." Hours before Benitez again halted sales, California Attorney General Xavier Becerra warned that the state was in danger of becoming "the wild, wild West for high-capacity magazines." During that short window, a number of ammunition manufacturers around the country sought to take advantage of the opportunity. South Carolina-based Palmetto State Armory announced in a Facebook ad that it was "prepared to send a whole lot of freedom to our friends in California," but warned of delays due to high demand. California's more than 2.5 million gun owners together have nearly 20 million guns, many of which can use the extended magazines. "They have a very specific purpose and intent here to try to set up for the court that these are devices that are very commonly used and possessed" and therefore should not be banned again, said Ari Freilich, an attorney with the center. The problem isn't the new owners who will use them legally for target shooting or self-defense, he said, it's that some will fall into the hands of criminals or be used by mass shooters. Reformers expect the 9th U.S. Circuit Court of Appeals to keep the ban on sales while reinstating a 2016 state law and ballot measure banning possession even by those who purchased the magazines legally. 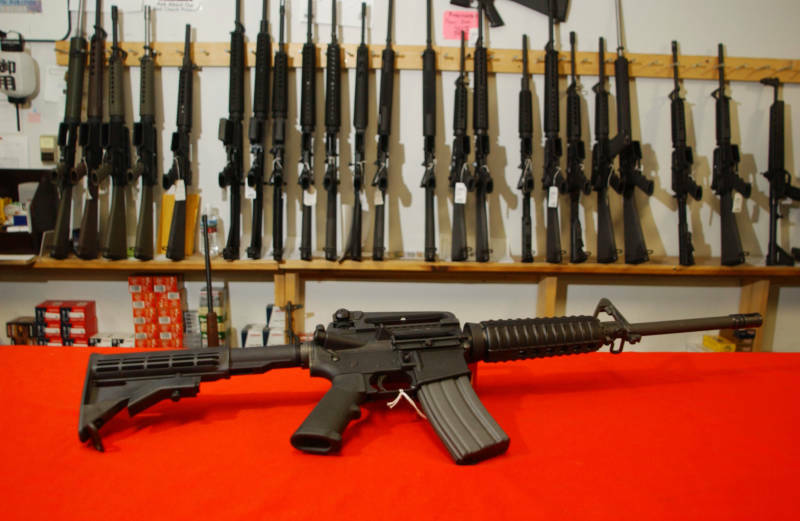 Opponents of California’s law are counting on the U.S. Supreme Court to ultimately side with Benitez's ruling, that the bans infringe on the Second Amendment right to bear arms.